This beautiful scenic drive that climbs in elevation, has incredible views over the Moab Valley and Canyonlands National Park. Touring up through the alpine evergreens and aspens, various trailheads can be accessed. 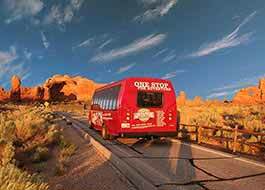 While driving, visitors will find routes to La Sal Mountain Pass, Geyser Pass, Oowah Lake, Warner Lake and down to Castle Valley. 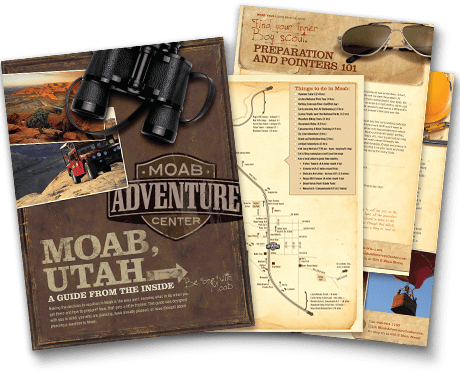 Moab and the surrounding area can get unbearably hot during the peak of summer; so many locals and visitors like to head up to the mountains to cool off. 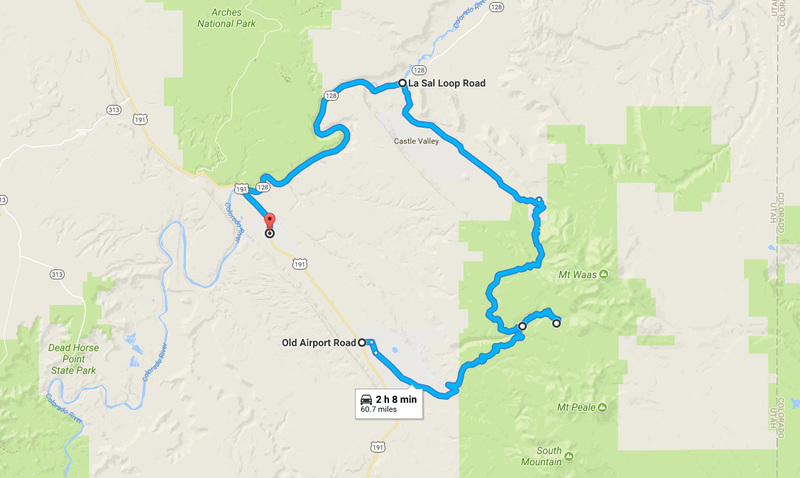 Heading south of Moab on Highway 191, take a left turn towards Ken’s Lake and the La Sal Mountain Loop Road. Take a stop at the Lake or continue past the Ken’s Lake turnoff and forward to the La Sal Loop Road. Follow the winding road up through the desert plateaus to the beautiful forest covered mountains. Enjoy the serene landscapes as your drive up and down the mountainside. Approximately 15 minutes into the drive, Mill Creek recreation area will come up on your left hand side. A small area of parallel parking and a pit toilet mark the spot. The area is popular among climbers and is a beautiful spot for a quick hike and exploring. Once finished at Mill Creek, continue a half mile down the road to the Oowah Lake turnoff. A washboard dirt road will take you up to the majestic mountain lake and campgrounds. Take some time to have a picnic and fish around the lake; surrounded by thick woodland areas. After you have finished up with your fishing adventure, take the dirt road back to La Sal Loop Road. Once back on the road, continue approximately two miles to the Warner Campground turnoff. A moderate drive on a dirt road past beautiful meadows and aspen groves will lead you to the Warner Lake Campground. Surrounded by aspen trees as far as the eye can see, this campground is simplistic and magical at the same time. A short walk on a dirt path will take you to the small and charming Warner Lake. Take a chair and book and read lakeside while enjoying the sounds of nature around you. Return down the same dirt road you came on to get back to the La Sal Loop. Continuing down the loop road, you will start to notice the desert plants and wildlife returning as you slowly make your way back down to the sandy desert floor; but before making the full descent down the switchbacks, take the opportunity to pull over at one of the large shoulders on the road to enjoy the incredible view over the Moab area. 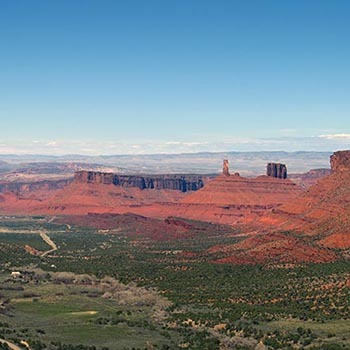 Views reach out into Canyonlands and the outlines of the different mesas carved into the landscape paint a panoramic view like you’ve never seen before. 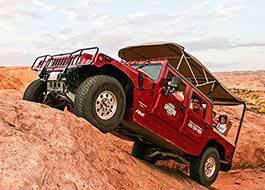 After a swirling descent down the switchbacks, you will find yourself in the delicate yet powerful Castle Valley. Continue on through the valley on the loop road. Eventually you will come to the junction of Highway 128. 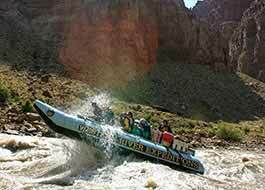 Turning left, make your way down past Red Cliffs Lodge (a great spot for dinner if the timing is right), riverside campgrounds, and matrimony springs; back into the beautiful town of Moab.